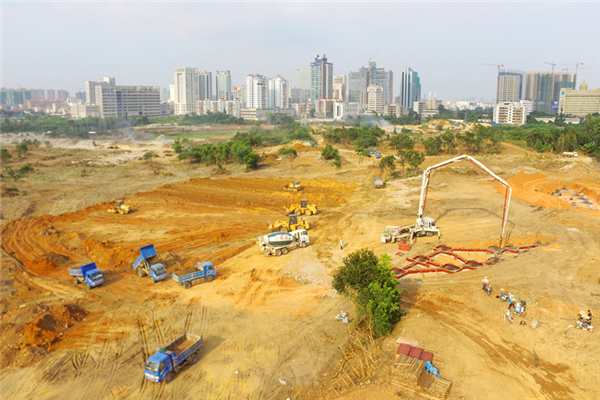 Zhanjiang residents will be able to enjoy more green space with the construction of Yinfan Park, which started construction on Oct 16. The park is located upstream of Lvtang River Wetland Park, east of the Renmin Road. Occupying an area of 27.5 hectares, the park will have distinctive tropical characteristics, and it is hoped it will become a popular landmark and tourist attraction. The park is expected to open to the public before Spring Festival in 2017, which falls on Jan 28 next year. The project is part of the city's decision to add more greenery to improve people's living environment as well as to facilitate its economic development.